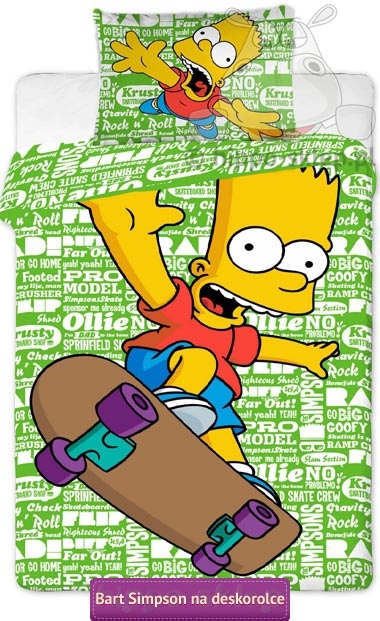 Bedding with Bart Simpson character from Fox animated series for kids and teenagers describing satirical the adventures of stereotypes rooted in the culture and lifestyle of the typical American family – The Simpsons – living in Springfield. 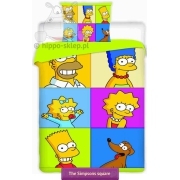 The Simpsons family are Homer and Marge’s marriage and their children Bart, Lisa and Maggie. 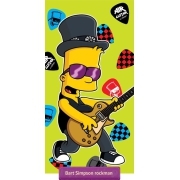 Bedding with Bart Simpson made under license FOX, with duvet cover size 135x200 cm or 140x200 cm depending on the selected options and pillowcase size 70x80 cm, closing by zip. 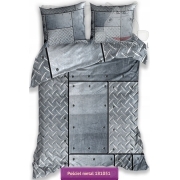 Bedding Bart Simpson is certified by the execution of the raw materials tested according to Oeko-Tex Standard 100. 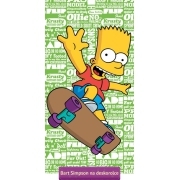 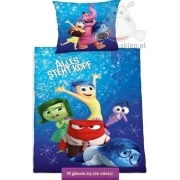 Bedding with Bart Simpson in green color with a large favorite character Bart on a skateboard. 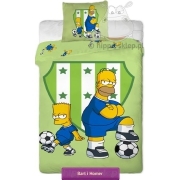 The inner side of the bed sheets in green with small sentences motifs form. 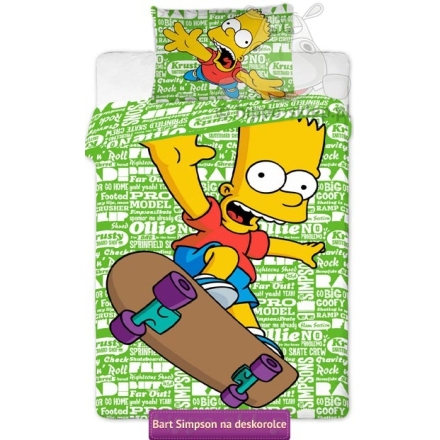 Bedding Bart Simpson is a great idea for a very practical gift for small and big fans Bart and his adventures.